have lost a such a wonderful talent, a true hair artist with an amazing soul and spirit. 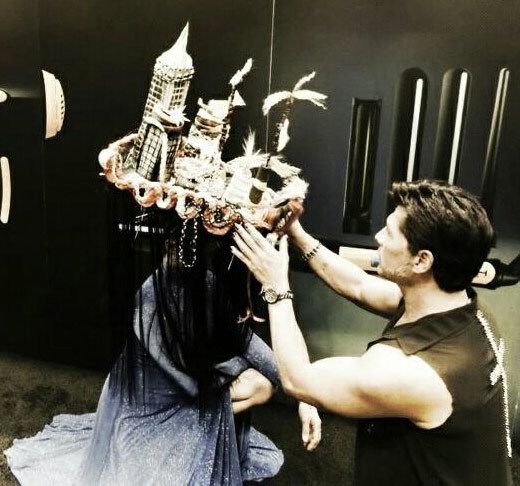 Freedom Tower - Carlos' hair art clreation, a ship called Freedom Tower made out of 5 feet of hair. His message is to '"Not to forget what's happened but to put the past behind and let go - and to make sure you have found your 'Fate' 'Trinity' or "God' as he calls his peace & safety during this journey on earth"
One of the participants, Margie Stevens' feedback from the event: "Today my visit to Hair by Carlos Salon was more than I ever dreamed it would be. Carlos and his amazing staff are the most connected, professional, empowering, creative, loving, people I have ever met. I thought I was just going to have my hair done, instead, they touched me on every level of my soul and being. And, of course, amazing work and results. Do yourself a favor or for anyone who you really love, take them to HAIR BY CARLOS!" Thank you Margie! It was our pleaasure!